Directions | Aerosol Monitoring & Analysis, Inc.
(Training’s entrance is from the parking lot at the back of the building). From Baltimore or DC: From Baltimore, take I-295 South or I-95 South to Route 100 East/Glen Burnie. From DC, take I-295 North or I-95 North to Route 100 East/Glen Burnie. Coming from either north or south, follow 100 East to exit 10B. Go to the third traffic light intersection and turn right onto Ridge Rd. Take the first left onto Mellon Rd. Go 1 block and cross Ashton Rd. Proceed into the parking lot for the complex and go straight to the end. 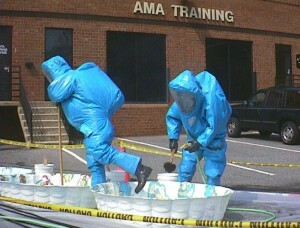 Look for “AMA TRAINING” on the outside of the building in large letters. From Annapolis: Take Route 50 West to I-97 North. Exit at Route 100 West. Follow 100 West to Exit 10 and turn right. Go to the second traffic light intersection and turn right onto Ridge Rd. Follow directions above. From Washington: Take I-66 West (25 miles). Take Exit 55 (VA-7100) North towards Reston/Herndon. Immediately merge into the farthest left lane. At the first intersection, take a LEFT onto Fair Lakes Parkway. At the first light, take a LEFT onto Shoppes Lane. Follow the road into the hotel parking lot. From 95 North: Merge I-495 West via Exit 27 to Silver Springs. Merge onto I-66 West via Exit 49 toward Manassas. Take Exit 55 (VA-7100 N) toward Reston/ Herndon. Immediately merge into the farthest left lane. At the first intersection, take a LEFT onto Fair Lakes Parkway. At the first light, take a LEFT onto Shoppes Lane. Follow the road into the hotel parking lot. From 95 South: Merge VA-123 North via Exit 160B to Occoquan. Merge onto VA-7100 North/Fairfax County Parkway. Immediately merge into the farthest left lane. At the first intersection, take a LEFT onto Fair Lakes Parkway. At the first light, take a LEFT onto Shoppes Lane. Follow the road into the hotel parking lot.